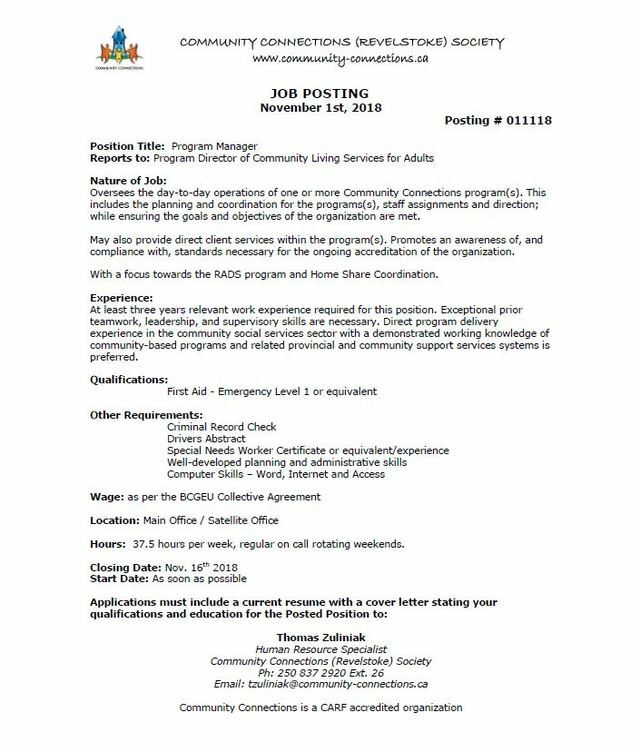 Oversees the day-to-day operations of one or more Community Connections program(s). This includes the planning and coordination for the programs(s), staff assignments and direction; while ensuring the goals and objectives of the organization are met. May also provide direct client services within the program(s). Promotes an awareness of, and compliance with, standards necessary for the ongoing accreditation of the organization. With a focus towards the RADS program and Home Share Coordination.